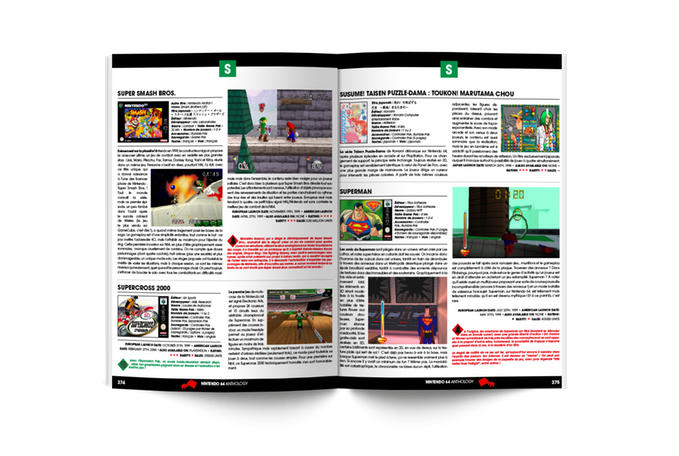 Indie Retro News: Nintendo 64 Anthology - The Ultimate Book Kickstarter is now live! Nintendo 64 Anthology - The Ultimate Book Kickstarter is now live! Way back in the late 90's Nintendo released the third game console for the international market, it was also the last major console to use the cartridge based system, which was pretty much killed off by the CD. The console was of course the Nintendo 64, or as many people know it, the N64. Although I have never used one or played the games that came with the N64, I was very pleased to get a heads up by retrogamescollector of a new Nintendo 64 Anthology Book Kickstarter that is live today and waiting for your funding! According to Geeks-Line who are behind this rather impressive campaign, and in celebration of the upcoming 20th anniversary of the N64, which is happening on September 29th 2016. Math Manent, the editor of the book. will be writing the most comprehensive and remarkable book about this legendary console. In fact the book will be over 350 pages long and chronicles the entire game library (388 games sold in Japan, the US, Europe, and Australia), with also inclusive hardware details and rather special interviews. But if that is not enough for you to pledge all your money away, you can also pledge towards The Nintendo 64 Anthology Collector’s Edition which includes 24 additional pages with the best international N64 advertisements or the Box Art Collection which includes the Nintendo 64 Anthology collector’s edition cover and a box art collection of at least 750 of the games published for the Nintendo 64. But of course all that is just a sample of what is on offer to whet your appetite! In all, the Nintendo 64 Anthology is a rather eye opening Kickstarter for any retro gamer or N64 enthusiast, so head on over to the Kickstarter page located (HERE) and get pledging!